Disconnect the connector from power amplifier and inspect the connector on the wire harness side. Disconnect the connector from RSA controller and inspect the connector on the wire harness side. Disconnect the connector from DVD changer and inspect the connector on the wire harness side. 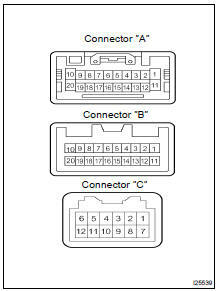 Disconnect the connectors from the radio receiver assembly, and inspect the connector on the wire harness side. 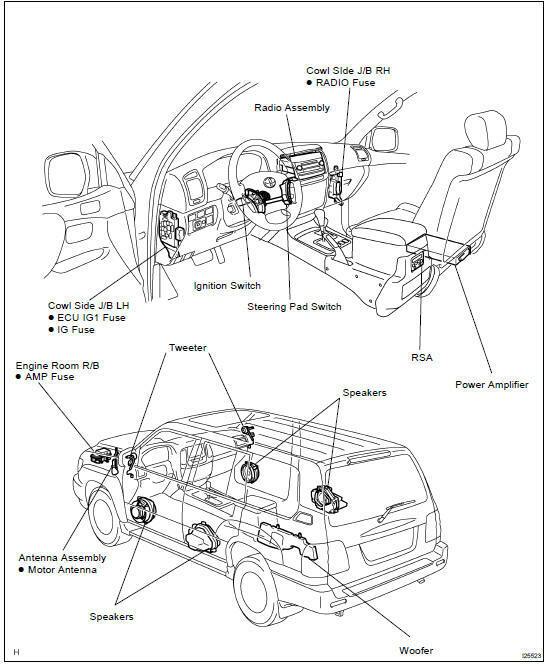 HINT: Check the wire harness between radio receiver assembly and the CD auto changer, between radio receiver assembly and power amplifier. 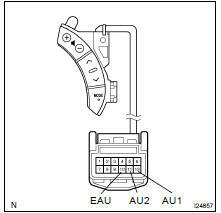 Disconnect the connectors from the steering pad switch, and inspect the connector on the wire harness side.